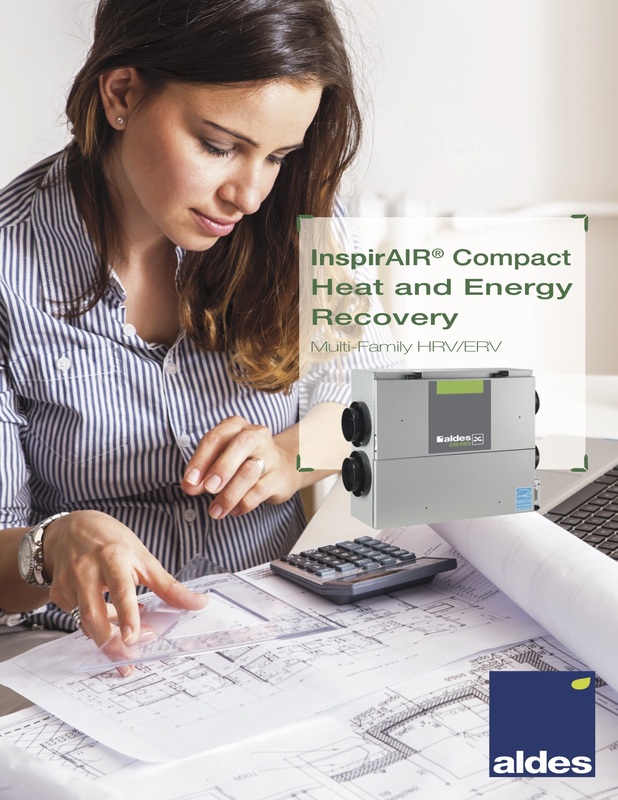 Aldes InspirAIR™ Compact Multi-Family Energy Recovery Ventilators (ERV) have been thoughtfully engineered for use in apartments, condos, and other multi-family dwellings. 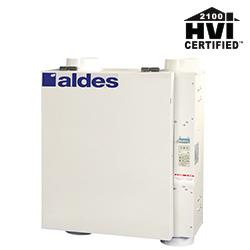 At a mere 9-1/4″ tall, the E130-HR fits easily into tight spaces. The bottom access panel allows for installation close to or above the ceiling. The E130-HR’s airflow circuits can be calibrated electronically, eliminating the need for resistance-inducing balancing dampers and improving overall efficiency. Other key features include: High Latent Transfer (HLT) membrane heat exchanger, several controller and filter options, and easy-clean interior lining.